Fat quarters and fat eighths are some of the most versatile and easiest to find pre-cut quilting fabrics. In this video class, you will learn what each pre-cut is, understand how it is made and see several ways to use them. First, Ashley Hough will explain the difference between the two sizes of pre-cut fabrics and explain how they got their name. 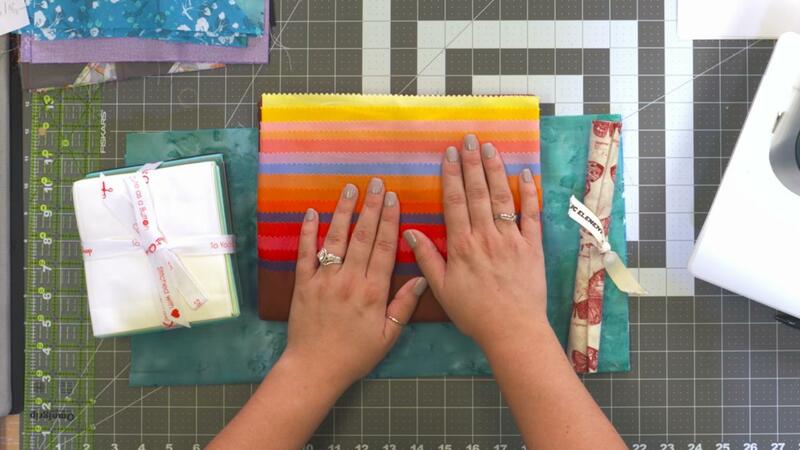 She will also show some of the many ways you can find these specific pre-cut fabrics, both separately and in bundles. 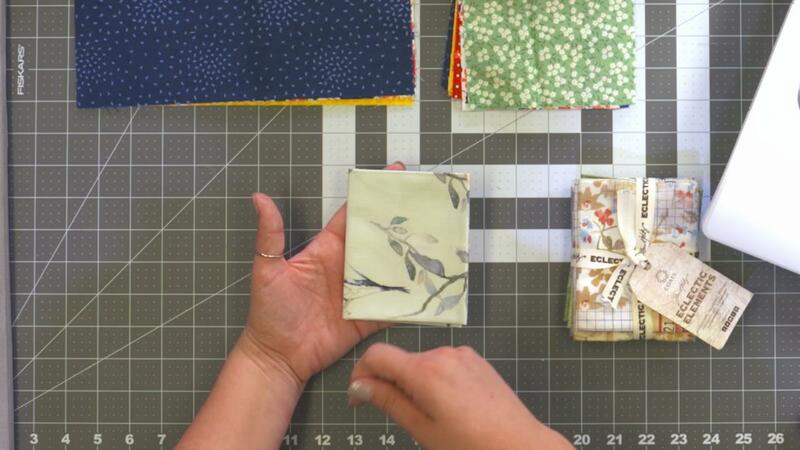 Next, you will learn how to make a block that is great for fat quarters, whether you are making one at a time or want to make many at a time. You will also get several different layouts for quilts that can be made with this block. Ashley will also show blocks and layouts that are great for fat eighths. 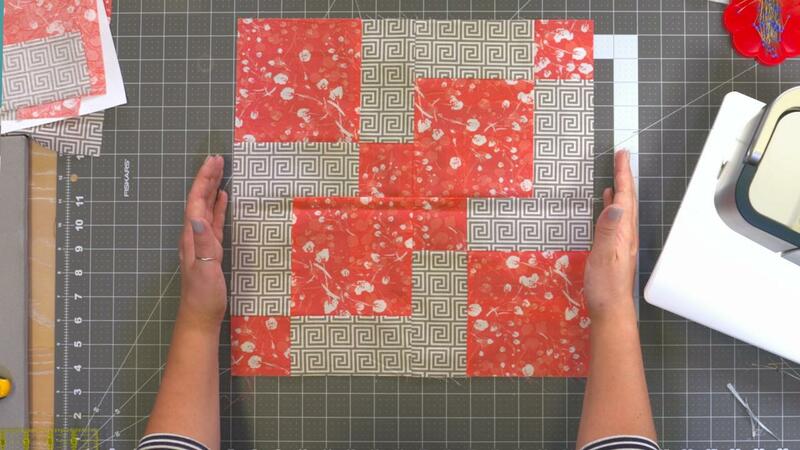 Finally, you will see how to make a versatile block that is great for both sizes of pre-cut fabrics as well as see several variations that can be made with the original block. 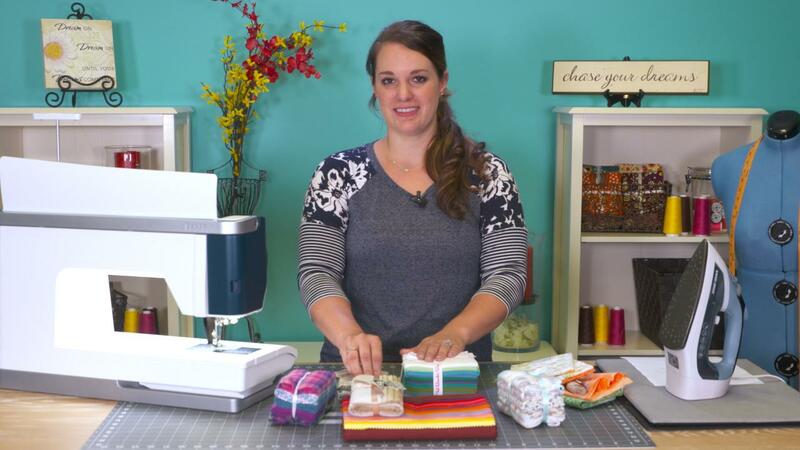 And while fat quarters and fat eighths are some of the most common pre-cut fabrics, Ashley will also show some of the other pre-cut fabric options as well as shows several resources for how to use them. Ashley has sewn for years. Her mother taught her at a very young age. When first starting out, she stuck to mastering commercial patterns before venturing into creating her own. Her patterns have been featured in Sew News, Sew It All, and she has even been on Sew It All TV. Quilting is somewhat new to Ashley, but she dove in head first – coming up with an original design for her first quilt that included curved seams and hand appliqué! She was even lucky enough to have it featured in one of Quilty’s “This is My Quilt” episodes. 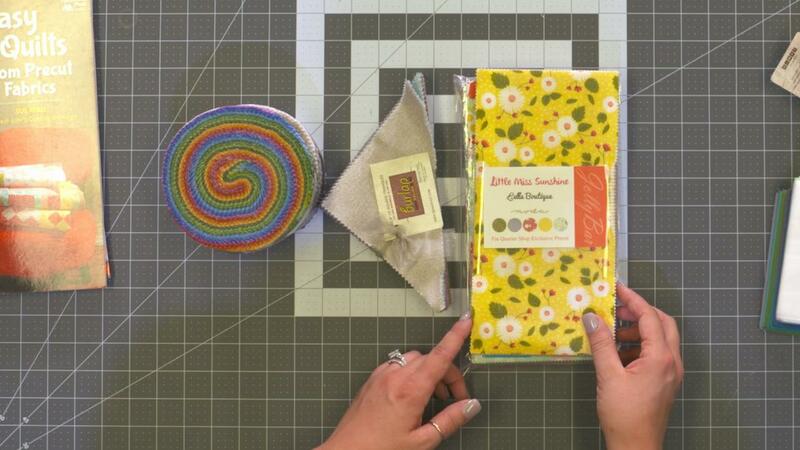 Ashley loves all things crafty, from sewing to knitting, crochet to quilting, and everything in between. When she isn’t working on a new project or learning a different technique she loves teaching her passion to others. Q: How does the Class Discussion benefit work? A: Once you purchase any Class, within the Class viewing page, you’ll have access to post a question, comment or tip in the Class Discussion area. This is not a “live chat,” but your Class Instructor will answer posted questions and provide tips regularly. You can also view other Class participants’ questions and input to take part in this virtual dialogue among others who have taken the Class and are willing to share tips, answers, or ideas. Q: How do I contact National Quilters Circle Academy? A: If your question is about the Class content, please use the Class Discussion benefit to ask your question online – and you'll receive feedback from the Class Instructor. Even your fellow Class participants may jump in to offer tips and advice from their experience. If you have other questions or need help, you can email us at nationalquilterscircle@program-director.net or call us toll-free, at 1-855-706-3538. Service Representatives will be available Monday-Friday, from 8:00 AM to 4:30 PM Central time, excluding normal holidays. In this session you will get a better look at fat eighths and see how to make several layouts that work well with this pre-cut. You will also see how to make a fun layout using fat eighths that doesn’t require a pattern.